MAC Cosmetics has now launched their Divine Night Holiday color collection in the US. In this collection are three highlighting mineralize skinfinish powders. I picked up Centre of Attention (I’m so proud of my restraint!) and thought I would share my thoughts on whether or not this $33 beauty item is worth the dough. This MSF is priced at $33 rather than the usual $30 due to the limited edition packaging. This includes lettering on the box as well as the pot in gold instead of the usual white. Is that really worth an extra $3? I’m not so sure. The design of the mineralize skinfinish itself is also unique as the usual veining was foregone. The base color is a soft peachy pink that is finely milled. Inside is a square filled with a 14-karat gold glitter. The color payoff of this MSF is rather disappointing. I found both colors to be quite sheer, with the gold being a bit more prominent. 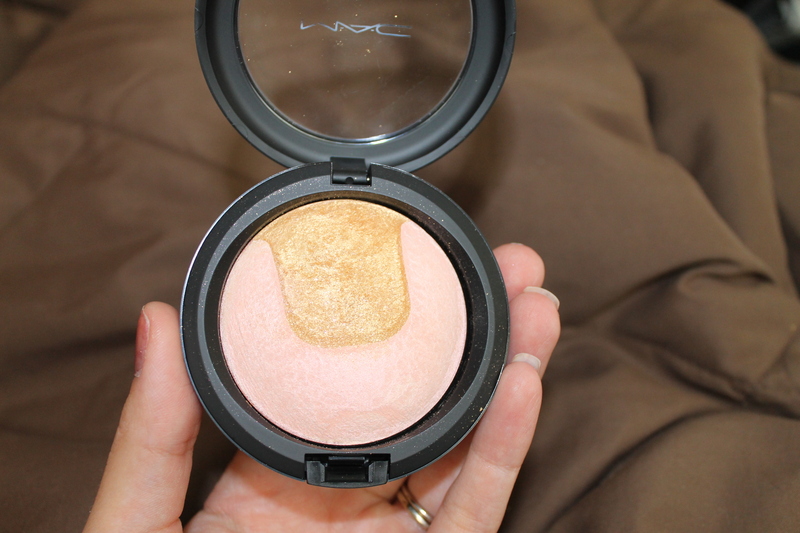 Since the pink is so light and sheer I would think it is better suited for paler, cool-toned skin. At first it reminded me of MAC’s Play It Proper, but when swatched side by side PIP is much more pigmented and more of a true pink without the peachy pull. CoA is very powdery. 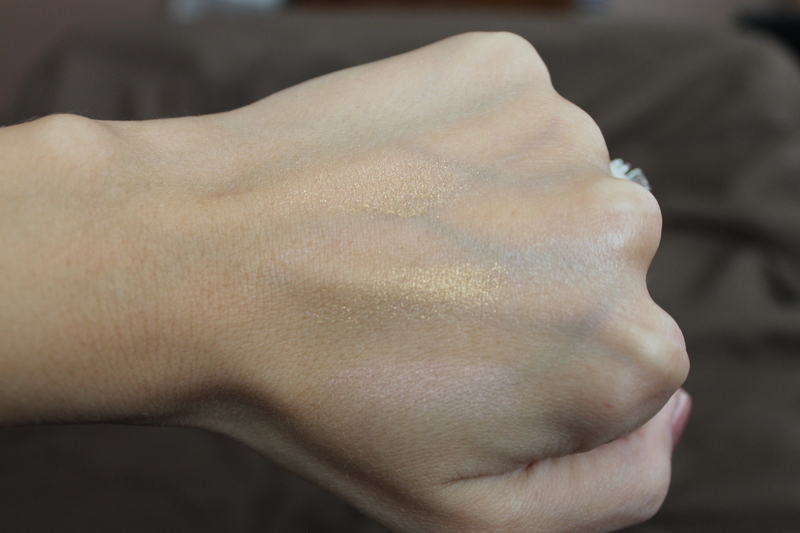 The yellow gold applies much like a pressed pigment. It is very chunky glitter, and while I applied it to the tops of my cheeks it most certainly did not stay there. After a couple of hours the gold glitter was literally all over my face (perhaps my oily skin has something to do with that). 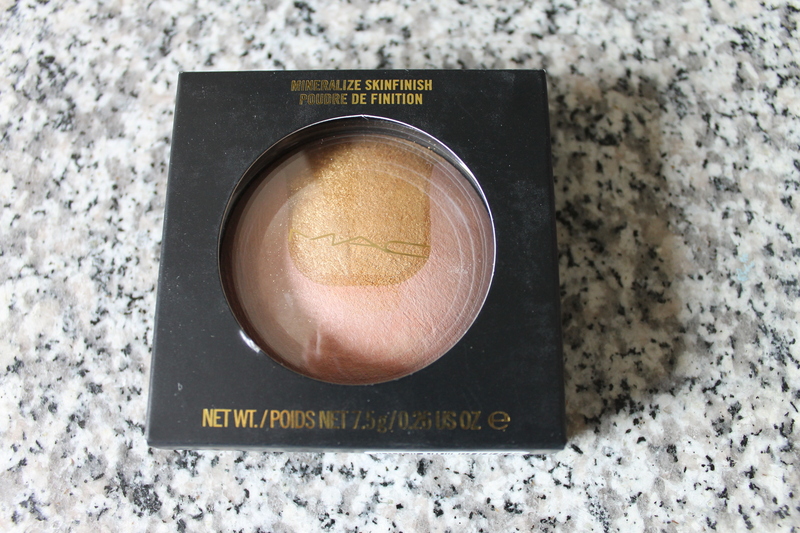 I found it applied a bit better when using a wet brush and placed on my lids over a creamy eyeshadow base. 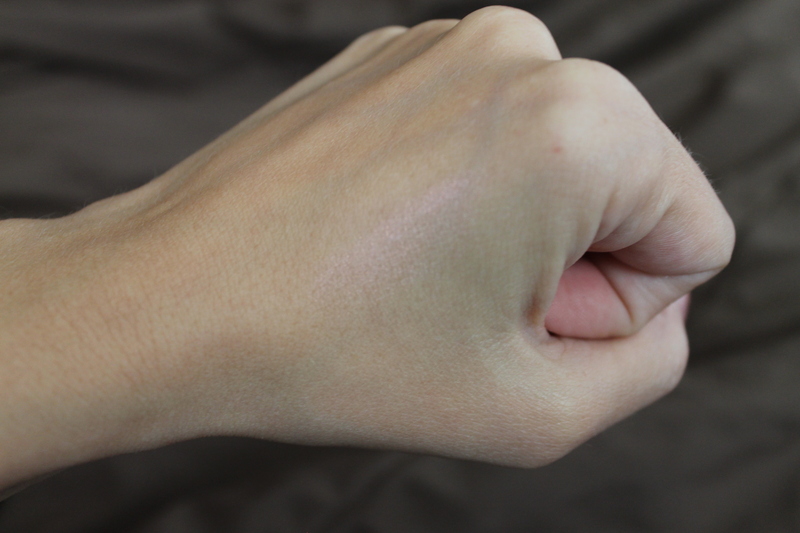 Because the gold is so coarse and gritty, when swatching the two colors together it is much more pronounced. Maybe that is why I did not find the color of mixing the two to be very appealing (and they really didn’t blend). 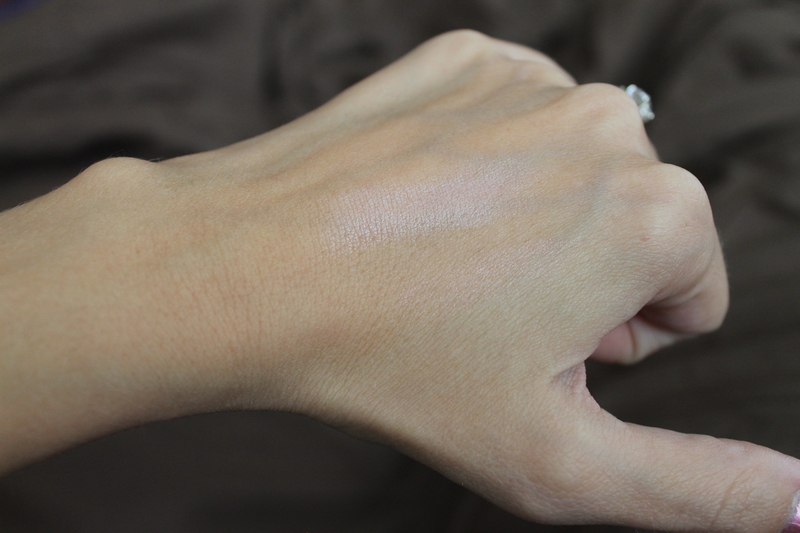 As you can see in the pictures and video below, swatching one or two layers of the product was hardly noticeable on my light skin. 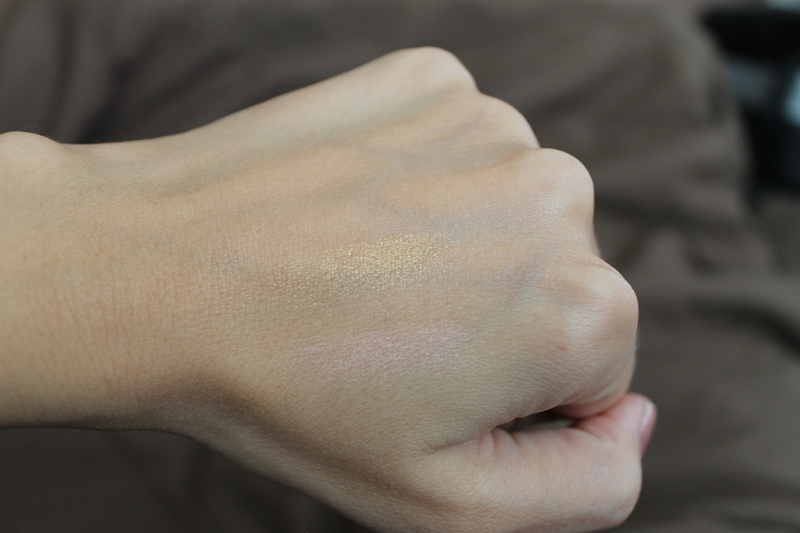 I considered adding more layers to the swatches but that seemed misleading. What you see in these pics is truly what you get. Now before I sound completely doom and gloom, I would say that the peachy pink base color is beautiful and provides a very subtle, flattering sheen. If you do not have a pinky highlight then this might be worth the money for that alone. As for the gold, I can’t say that it is all bad just because it didn’t suit my skin tone and larger pores. If you can pull off very large, yellow gold then you may love this product. I definitely recommend trying this product in person before buying if at all possible. 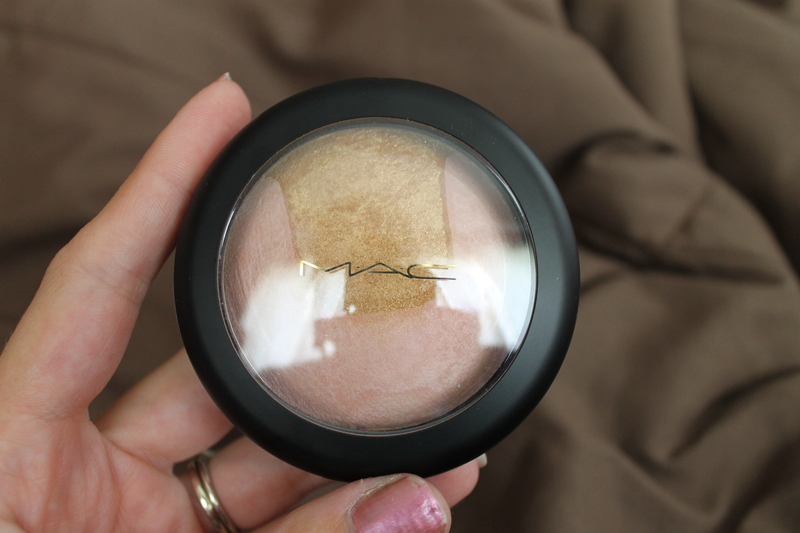 Overall I did not find Centre of Attention to be impressive, which is shocking as I have an unnatural love for MAC’s skinfinishes and beauty powders. I wanted to love it! But there are much better permanent MSF’s, and the next great limited edition collection is always just around the corner. For live swatches watch the short video below. What did you think of this product and the collection as a whole? Do you disagree and absolutely love it? Leave me a comment below. Thanks for reading. This product was purchased with my own money. All opinions are my own. Posted in Beauty & Style and tagged Beauty, centerofattention, centreofattentio, divine night, highlighter, holiday collection 2013, limited edition, MAC Cosmetics, Make-up Art Cosmetics, makeup, mineralize skinfinish, MSF, something to consider, somethingtoconsider, somethingtoconsider1, somethingtoconsiderblog. Bookmark the permalink.